TAIAN-ECOBAR TECHNOLOGY treats our customer as important as manufacturing our own products and striving to be not only a highest quality Copper Busway, Aluminum Busway supplier but also a truly one-stop leading Low Voltage Busway provider. We also make sure that defect less products reach to our clientele at cost effective method. We also follow ethical and see-through business policy with our clients in order to ensure horizontal running of business relation. For more than 15 years, we have been specializing in providing Busway and Busduct. We are professional manufacturer of Low Voltage Cast-Resin Insulated Busway. Our Low Voltage Cast-Resin Insulated Busway is designed to meet your specific technical and performance requirements. 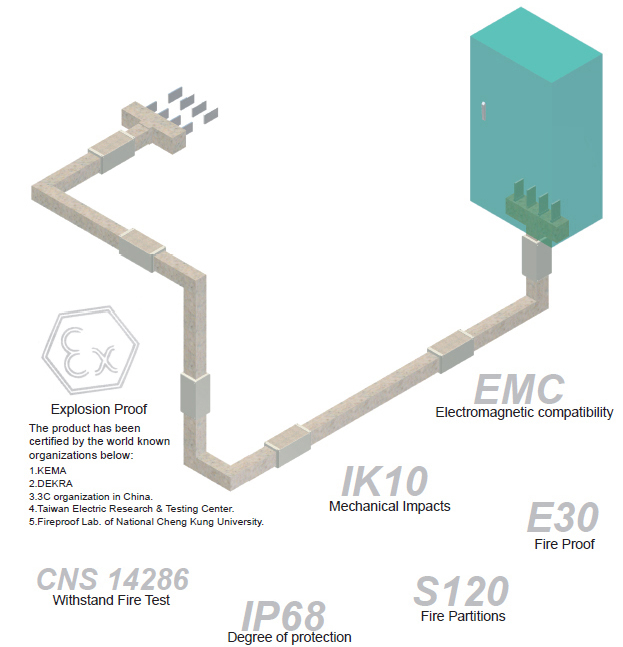 Comply with IEC 60439-1、 IEC 60439-2、IEC 61439、CNS 14286. Low Voltage Busway features high quality and excellent durability. Moreover, our goal was to create a shopping experience that was enjoyable, one stop and secure;sales team can answer your questions and provide help with choosing any of our Low Voltage Busway products.